Muscat is the gem of the Arabian coast and capital city of Oman. Flanked by the rocky Al Hajar Mountains, Muscat’s scenery is dramatic, but the city itself nestles into this landscape with unassuming grace. Its clean white buildings retain their traditional character. Despite the fact that it is a capital city there are very few high rises; instead the town retains its beautiful domes and arabesque windows. Any Muscat city guide will tell you that the sea plays an important role in this city’s history, and its breathtaking harbour is testament to that. Muscat’s port is still bustling with life and is a financial lifeline for the city. However, as Muscat tourist information will quickly tell you it’s not just a business town. Must-see sights include the Mirani and Jalali Forts, along with the Sultan's ornate Al Alam Palace. Book a 3 or 4 star hotel for visiting Muscat: you’ll have a very pleasurable experience! You can fly into Muscat International Airport which is about a 20 minute taxi ride into the city centre. 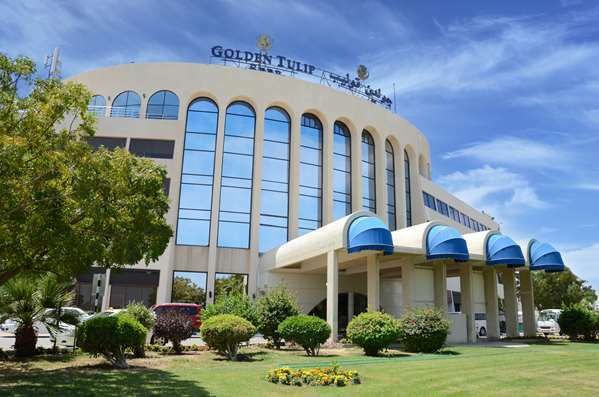 Our luxury hotels in Muscat have easy access to the airport. There are also good road links between Muscat and nearby Dubai with an approximate 6 hour car journey between the two. Once you’re in Muscat transport can be a little tricky as the city is fairly spread out. Most people get around by maxi taxi, vans that often hold a number of people, and drive along main routes like buses. There are also many rent-a-car businesses operating in Muscat. No visit to Muscat is complete without a trip into the Mutrah Souq. Also known in part as ‘The Market of Darkness’ the souq is full of winding alleyways covered by wooden board roofs in the Old Eastern style. It is one of the oldest markets is Oman, which adds to the exotic charm as you barter for spices or beautiful Omani fabrics. You should walk along the Mutrah Corniche for a mesmerising view of the town and the ocean. The new Royal Opera House is a sight to behold, and one of the most desirable things to do in Muscat is catch a show there. The Grand Mosque is also well-worth a visit, but it’s important to research the dress code before you go. The location of each of our 3 and 4 star hotels in Muscat provides a quick access to most of these points of interest. There are many fine restaurants in Muscat. It’s often fun to enjoy maljis-style dining (seating on the floor) when you’re out and about in Muscat for the real Arabian experience. Omani curries are rich and abundant, there is a lot of delicious seafood on offer as Muscat still has a thriving fishing community and Omani cardamom coffee is legendary.